Collectors know this is the model to have. 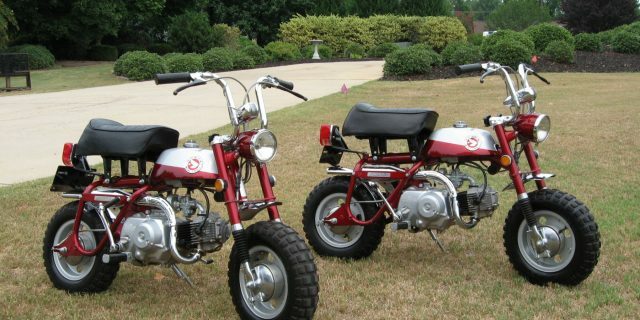 This pair of mini trails was bought by a “couple” in ’69. They rode them very little and covered them up in the back of the garage. When they deceased their neighbor bought them from the family. I purchased them from the neighbor. 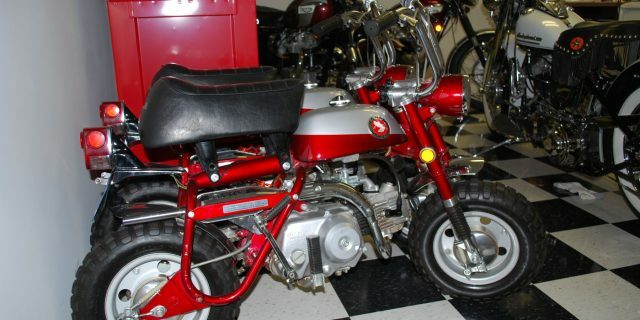 They are in original condition with no restoration or replacement parts. I believe the only wrench placed on these bikes was to change the oil. The original tool kit is under the seat. I believe I was the first person to remove them. Fans of these bikes will notice the brake levers – they are original and are in amazing condition. Every time I study these bikes closely I just can’t believe the condition they are in. Both run and start easy.